What does it take to collect granular marketing data, run it through a specialized processing stack, and deliver it to you faster than anyone can? Here’s a quick scoop on all the ways Metis outperforms the competition. The digital media ecosystem is bursting with ad servers, DSP’s, DMP’s, vendors for attribution and viewability, and more. Systems generate billions of rows of transaction log data from bids, auctions, and other online user activities. That adds up to a lot of useful marketing insight if you have a way of sorting through the noise in the data. 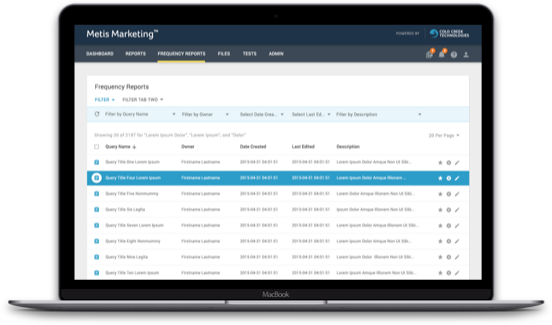 Metis boosts your marketing efforts by collecting, integrating, and formatting that data so you can make more effective use of it. Here’s how it works. The capture process starts with data from the online marketing tools you already know and use. Metis collects that information using two methods. The first is downloading data from external sources using various protocols. The data might come from Amazon’s S3 Storage, Google Cloud Storage, or an FTP server. The second method leverages the API’s from these external systems to collect normalized marketing data for a particular digital media source. Because each ad system uses its own log file format, comparing them is difficult. Metis interacts with the API’s to sort that data before integrating it into our datasets. The data inflow is massive. That’s why the competition generally throws all the information into a Hadoop or some other distributed database solution. Those products are big and flexible and have a lot of tools. But they cannot cost-effectively handle specialized data processing at the speed and scale needed by today’s marketers. Metis isn’t a database. It’s a custom designed, scalable, data processing stack built to work on marketing data sets at speeds more than one thousand times faster than Hadoop solutions of corresponding size. And because it’s so much faster, Metis gives you options and results that simply aren’t possible through other vendors. Integrating data across disparate ad systems is the backbone of the robust Metis toolset. 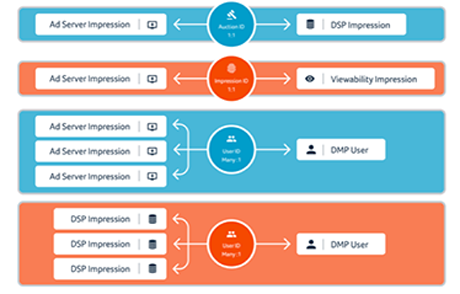 When activities happen, like ad auctions or impressions, logging data is generated in each system, with a unique ID tying them together. Data Stitching happens when Metis captures the log data from both systems, and by referencing the unique ID’s, stitches the files together. Sometimes the log data is joined row by row, resulting in one-to-one, or 1:1 join. Other times we do a many-to-one join, integrating multiple pieces of information from one log with single rows in another log. Data Stitching dramatically reduces campaign set up and management work, too. Capturing and integrating data at the impression level, while leveraging system macros for tracking, cuts ad tags by orders of magnitude for large campaigns. You still get more complete data and feedback than other vendors can give you. 125 Ad Tags Created: Larger, more cumbersome files. Only 5 Ad Tags Created: Cleaner, faster data integration. Metis ad tagging simplifies and speeds up data integration in your advanced campaigns. Traditional methods create unnecessary tags between ad server creatives, DSP’s, and DMP’s. Metis cuts this number significantly, reducing tag numbers by 100x or more, without any tracking loss. Our custom macros optimize ad tags by reducing the number of touchpoints. Syncing one ad placement through one DSP and one DMP is a single tag. 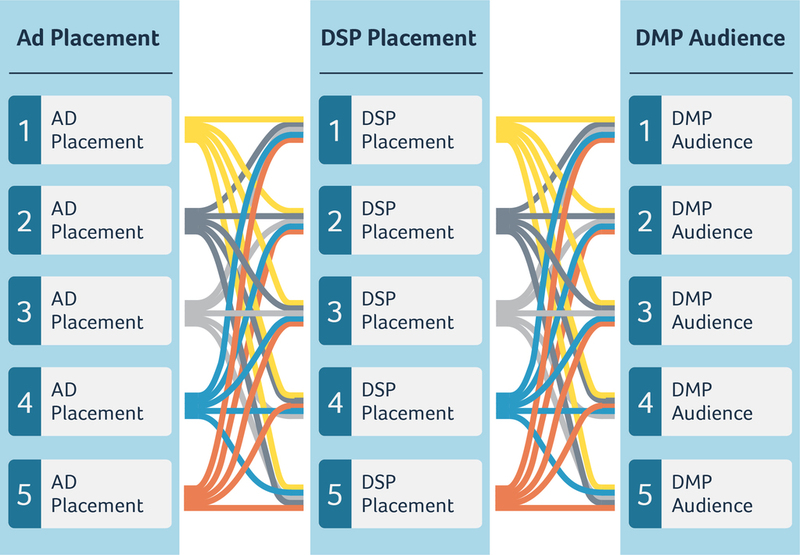 Syncing five ad placements through that same single DSP and DMP is five tags. Under common methods, adding second DSP and DMP should double the ad tag number. But with Metis, the number of tags doesn’t change. Take that same ad placement running through five DSP’s and DMP’s. You expect one hundred and twenty-five tags, right? 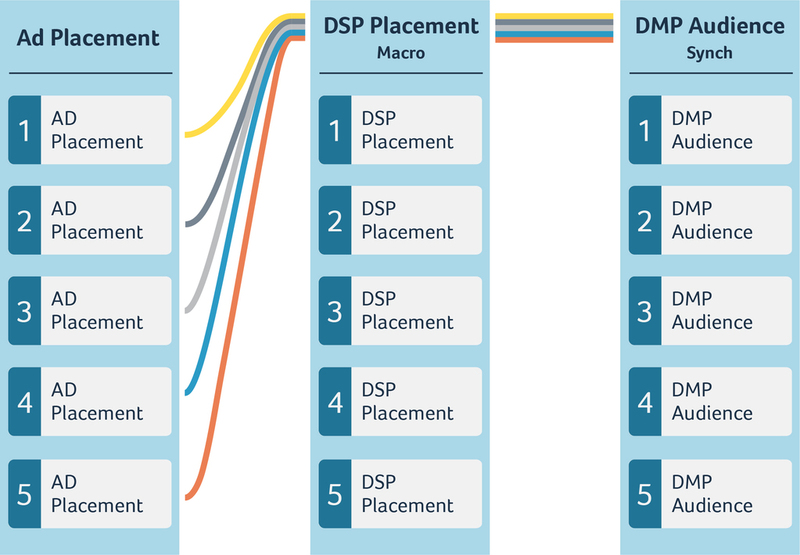 Our technology uses macros to group the DSP’s and DMP’s, giving you just five ad tags. Like our example animation above. Optimizing ad tags is another way Metis streamlines your marketing efforts and campaigns. You can do better than inflexible reporting built from aggregated data feeds that aren’t truly integrated. Use tools that collect, integrate, and distribute marketing data at granularity and speeds nobody else can. To find out if your marketing push is truly buying value for your company, look to Metis for the answer. The Metis ecosystem draws ad data from varied sources. Some are standard and others come from our proprietary technologies. They combine to give you a more complete picture of your campaigns. You stay in control of your marketing data and how it's used. Metis lets you choose the users and what level of access they have to data, reports, and visualizations.